Maybe they were stale-dated or corrupted or some such thing? Don't know why but they didn't come through in printing. Oh, w(h)ell. Advertising: how well does it work? Guilt ads not so well. Am not buying just to pour revenue into an organization to prop it up. Who needs that! Guess, I could say, "It's all in the details." So, it's a small fair. Hugh Thomas, math prof and poet pictured above, is here introducing his new Double Negative publishing entity and its first chapbook: Joyce's Walking Stick, by Hugh Thomas. Hugh also bootlegged two above/ground press poem broadsheets just to have copies of them here. Hugh will be live on Ashes, Paper & Beans (CHSR 97.9 FM) this coming Tuesday at about 7:30 pm. There's a large table of hemp necklaces and jewelry stuff. Some soft journals, T-shirts, a Moonsocket CD and 7", Free Thought by the local Social Justice League, Monique with her portrait service, a girlDawn-Aeron Wasonwith a zine, Sublime Creatures and chapbook of poems and stuff, magnetic buttons. I put out some stuff including the Some Stuff . . . NCRA-published chapbook. Am not likely to stay here untill 6 pm. It's not that active. But it is good to see. At some point the live entertainment will start performing in the corner behind my table of stuff. Caught off guard was I by today's wedding.tv party. Normally I see the rehearsal the day before for what it is (and when I think back I do recall a few people being around the church sometime yesterday afternoon). In kitchen starting a pot of chili, I saw people converging and entering. Was a 3 pm production. Military buzz cuts on some of the best men and groom. 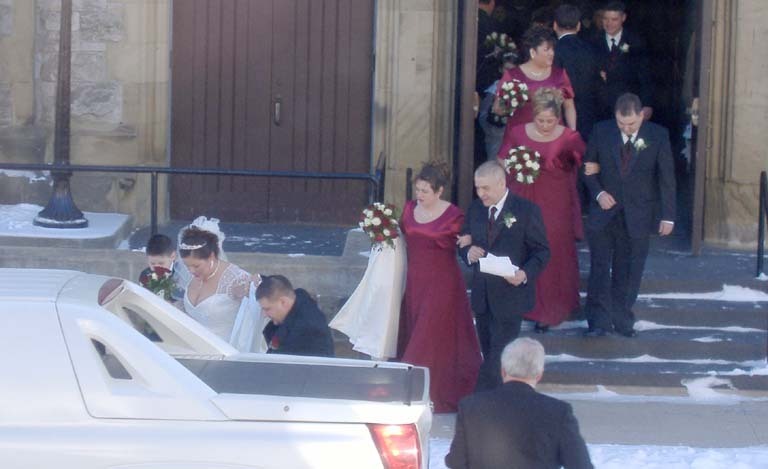 Honking big stretch limo truck delivers the bride and bridesmaids. 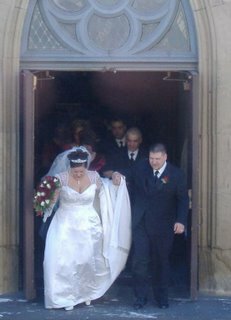 Bride and groom in the doorway of St Paul's. Large, supportive audience behind them. Many bridesmaids. They stream from the church and flow out of sight inside the limo. Surprise on a traffic light swiching box this evening. 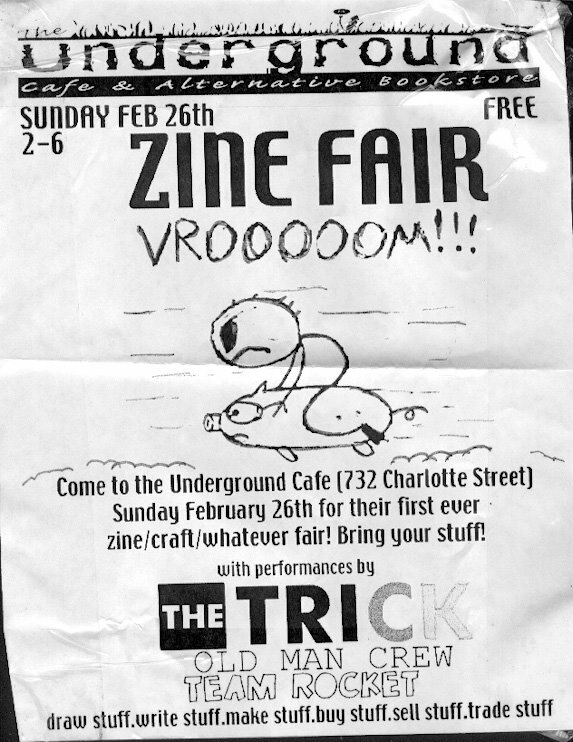 Even though I'm one of the producers, creaters of stuff in town, and have a certain rapport with some of the Underground Cafe crew I hadn't been contacted about this zine fair here in Fredericton, New Brunswick, this coming weekend. Maybe it's just because I've been doin' it so long but I feel I shoulda been told about this long before now. So I'm putting up notice first then, tomorrow, with consult on whether I can-will participate . . .
Where: Latin American Cultural Centre, in The Charlotte Street Arts Centre, 732 Charlotte Street (between Church and St. John Streets), Fredericton, NB. Organized by the founder of the International Multicultural-Multilingual Poetry Reading, Nela Rio, with the support of the Latin American Cultural Centre, ellipse and Broken Jaw Press. Previous celebrations since 2000 have featured poets and members of the community reading in many languages: English, French, Spanish, Portuguese, Chinese, Japanese Dutch, Danish, Urdu, Turkish, Amharic, among others. We invite you to join us in this celebration! This event is open to the general public and admission is free. Please include your name; Postal address; Email address; the text of the poem (use Times New Roman, 12. The poem should have 30 lines maximum, this is for the purpose of preparing the Poster Poem); send this information to nelario@rogers.com. Please note: this community event will not be paying artists or performance fee. sound: Blondie, "The Tide is High"
Last night saw me finish and close my journal started 16 December 2005. It is full of stuff from my life and then some (photo above). Crazy busy times they were: Christmas with my parents in Nova Scotia; trip planning; grant application recovery work; accountancy; brain-picked CHRC meetings in Ottawa; radio, radio, radio; joe reading; TWUC workshop; art openings; and much more . . .
Today I started a new journal, a plain black (but not for long) artist sketch book. 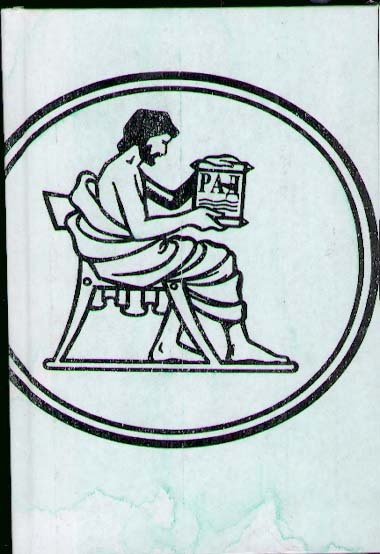 I printed off some large RAD publishing house logo lables and covered the book. It might get me to Serbia again. That's my crazy hope. Almost everyone thought that this Broken Joe blog would significantly cut into my journal writing-production-consumption. Go ahead, "say it ain't so, joe". The hockey games are on for tomorrow (Tuesday the 21st), and Thursday (23rd). They'll be airing from 6:55pm until approximately 9:20pm, so the 7-8pm and 8-9:30pm slots will both be preempted for this week. This was a weird change in the usual schedule, so I don't think you guys will be affected again during playoffs, but I can't be 100% sure. Sorry for the last-minute changes! sound: Depeche Mode, "Nenad & Jelena comp"
Yesterday, I received an email from Vesna Lopicic, editor and co-translator of the Slike iz kanade: Tri kanadska pesnika (SKC Nis, 2005). 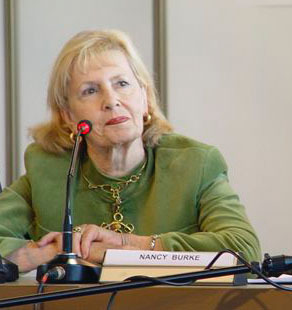 Vesna wrote to tell me that Nancy Burke, one of three poets in that book, had died a week earlier on 12 February 2006. I've only known Nancy Burke this past year via email and through an exchange of our poetry books, just the time since we started working toward the Slike iz kanade book. The book of Nancy's included in Slike iz kanade was Wypalona Ziemia / Scorched Earth (Torun: Algo, 2003) her third book of poetry published in Poland with en face translations by Polish poets, this time by Ludmila Marjanska and Ewa Elzbieta Nowakowska. We met in person for the first time at the YACS conference in Nis, Serbia in Oktobar 2005. Nancy, along with Fraser Sutherland and myself, was one of the invited artist guests. In addition, Nancy was chosen to be the keynote speaker with her paper "'A Dichotomy of Consciousness'the problem of identity as expressed in short stories by ethnic Canadian writers." Nancy had lived and taught in Poland since 1990, and had been Director of the Canadian Centre at the University of Warsaw for the past 16 years. We had talked about the possibility of me visting there and even getting poems translated into Polish because of our shared Serbian book. Last week, Nancy died after a supposedly easy operation on one of her legs. Very sudden. Very unexpected. The main feature on last night's eposide of Ashes, Paper & Beans was a three-part live interview with New Brunswick writer Kellie Underhill, editor of NB ink and Bread n Molasses, interspersed with a few recorded poems/ spoken word pieces: "Toronto Love" by Marc Lemyre; "droppin' revolution" by Sekou Sundiata; "Memramcook" by Jocelyne Verret; "Umbilicus" by Gerard Beirne. CHSR's annual FunDrive begins this Friday, February 17 and runs through to Friday March 3rd. 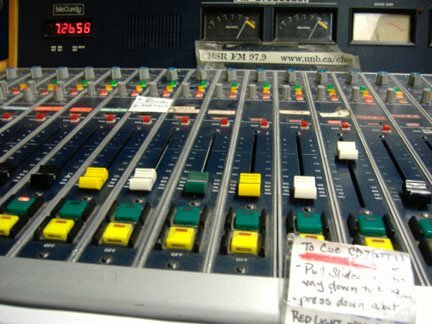 CHSR 97.9 FM, Fredericton, New Brunswick's oldest FM station, is a not-for-profit campus-based community radio station. It is a part of every member's individual and collective responsibility to help out with raising moneyparticularly at this time of year. We need the money to maintain equipment and everything else that helps us stay on the air. All on-air programmers doing a show during FunDrive must ask the listening audience to call our pledge line and donate to CHSR. Every time we turn on a mic we are expected to do this, ensuring that at least four times per hour we ask for donations. 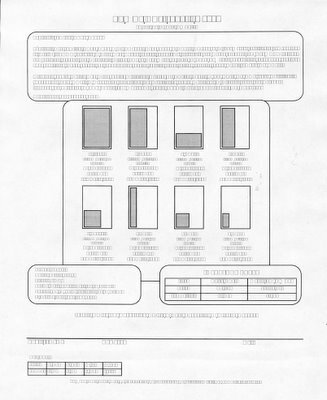 Scripts will be provided for in a binder in MCR under the HDA, with complete instructions on how to do an on-air pledge drive. We are also asking for volunteers to work the phone lines. Shifts are three hours long . . . and the station will provide coffee! There are numerous other ways to raise money. Help out with some of the station's organized fundraising events or spearhead your own initiative such as a raffle or an all-night radio marathon [I've done this before but it's not likely I'll be doing one this year]. This means that I'm expected to raise donations in the context of my program Ashes, Paper & Beans If you telephone the station to make a pledge or if you put a cheque or money order in the mail, please state that you are supporting Ashes, Paper & Beans. Yesterday, I finally found a poster for next Wednesday's reading. No extra copies lying around so I took a photo to use to make this post and more posters. 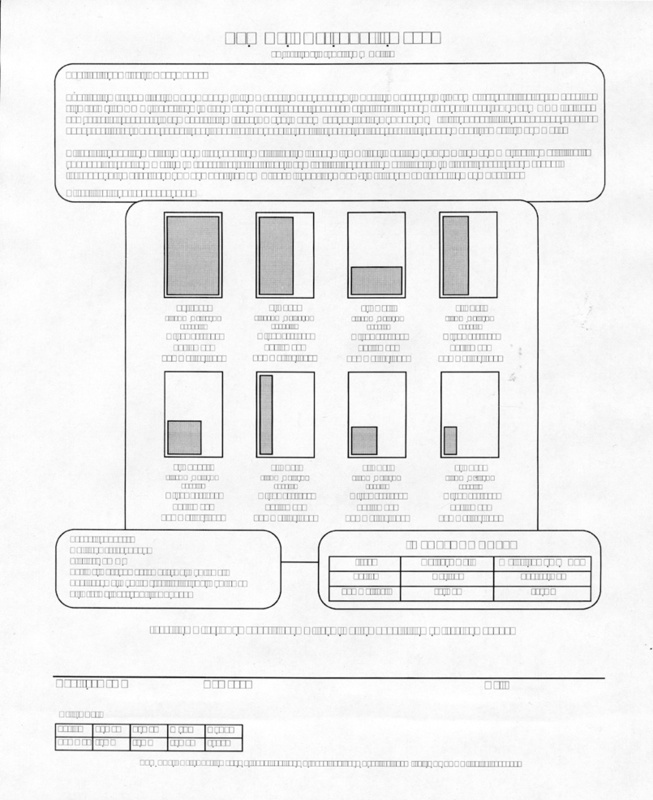 Hope to get a real poster, for my files, at the reading proper. They found and used an old photo (1998) of me by Dale MacCalder from preproduction time for River Suite (Insomniac Press, 1998). 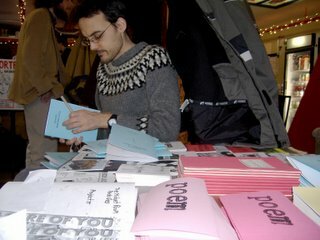 a few years back a friend said he could no longer work on publishing projects with me because he felt that my description of the ongoing malaise in the canadian book retail situation was "just too much marxist rhetoric" and he just didn't want to hear about it anymore else it would ruin his ability to write and his desire to continue getting books published. some discussions simply need to stop before they destroy all the other hopes and desires, reasons for trying to do something. in this case the something is trying to get me somewhere. sure, i could simply buy a ticket with a credit card. i would then have to pay them for the purchase plus interest out of monies that i would still have to somehow earn or acquire (through poetry book sales, reading honoraria, etc.). i cannot even get a bank loan, or trick a bank into extending me a line of credit, or get a house mortgage because i am a poet, a self-employed artist, with low, unstable income and no real job. there are people on income assistance that can get loans and mortgages because their welfare is considered a regular, stable source of income. it is a fluke that i even have a credit card. financially, i'm worthless. the reason for working to create an author promotion tour for me is to try and get someone else to help contribute monies toward the airfare, even if that "someone" is a government that i must pay multiple taxes to on almost everything i do and buy to live and create my own work here in canada. those tax obligations wouldn't cease by physically leaving canada unless i were to give up my citizenship or life (and i am not after doing those). wealthy and poor are relative concepts. i most definitely am not a wealthy canadian. not even close. not even close to a middle class income. if i had the income people assume i must have to live and to travel (as if work travel is automatically vacation and luxury) as they assume i receive for the responsibilities of being a publisher i'd be paying tens of thousands of dollars in income tax every year to the governments of new brunswick and canada. most people here assume that someone else owns the publishing house and that they foolishly hired me to be editor or publisher. i wish! i wish i was getting a, by canadian standards, fair wage or salary for the work. i would wish that they could also hire other people to share the workload. but that's not my reality. sound: Funkin' Do Me, "Fucked Up"
Tonight's Ashes, Paper & Beans was surprised by the arrival of 4 CDs, MPS CD audio books from Rattling Books in Tors Cove, Newfoundland and Labrador. First half of the show was a story, "If You're There" by Lisa Moore from her print book Open (House of Anansi). Most sessions in this series will be held in the newly renovated Assembly Room at the Fredericton Public Library, 12 Carleton St, Fredericton, NB, at 7:00 pm. Please take note: The two presentations in April have ‘outside’ venues! The presentations last approximately one hourand are free to the public. This series offers our local authors and the public an opportunity to share! Join us for these Wednesday evenings! 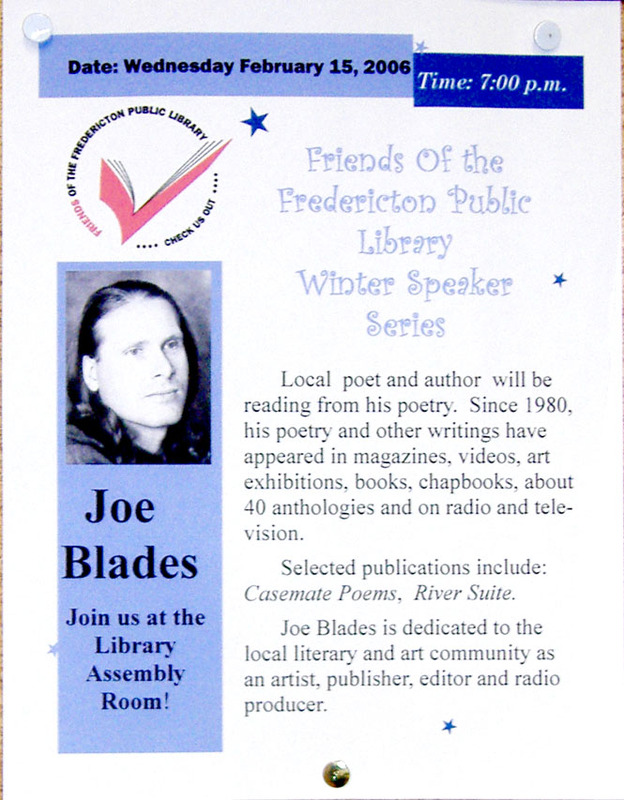 February 15: Joe Blades: Local poet and author, Blades will be reading from his poetry. He has more than a score of chapbooks, as well as artist books, and books of poetry including Casemate Poems and River Suite to his credit. 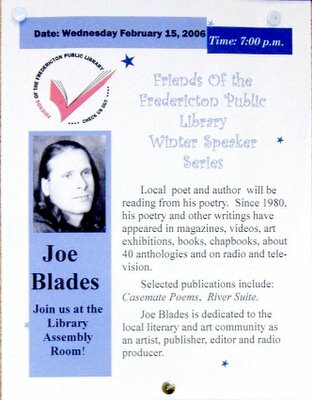 Joe Blades is dedicated to the local literary and art community as an artist, publisher, editor and radio producer. March 1: Maggie McLaughlin: Travelling in Bhutan. In the fall of 2004, Maggie McLaughlin travelled with an UNB alumni group to Bhutana country with a long and happy association with UNB. Maggie McLaughlin will share with pictures and talk her experiences of meeting the people, highlights of the tour, and her impressions of this unique Himalayan Kingdom. March 15: Tanya Arsenau: AutismCoping and Encouragement. Tanya Arsenau, in her work as Director of the Centre of Hope brought hope, encouragement and tangible support to families dealing with autism. There are approaches and support that the families as well as the community at large can be made aware of that will ease the stress that individuals and families experience. Tanya Arsenau speaks from personal experience as well as the understanding gained from her role with the Centre of Hope. April 5: Charlotte Street Arts Centre: SPEAKER SERIES WILL BE HELD OUT OF THE LIBRARY! Join us at 7:00 p.m. at the former Charlotte Street School, now the Charlotte Street Art Centre. Charlotte Glencross, past president and chair of the building committee, will conduct a tour of this refurbished 1884 building that is now playing a new and vibrant role in our community. All attendees are asked to gather at 7:00 pm outside the building at 732 Charlotte Street. 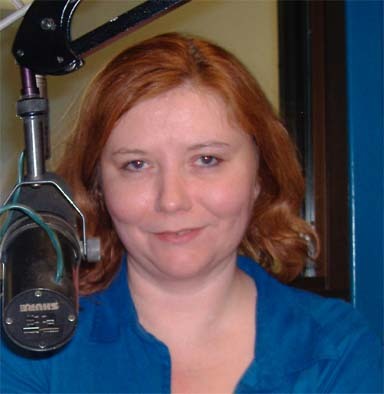 April 19: Anne Compton: Winner of the 2005 Governor General’s Literary Award in Poetry. Anne Compton will be reading from her award-winning book of poetry Processional at the launch of the Adopt a Book Campaign at Westminster Books. Dr. Compton, a native of the Maritimes, is an assistant professor at UNB SJ and a prolific contributor to the literature of poetry. Further details will accompany promotion of the Adopt a Book reception. Found stapled to a tree in the Old Burial Ground between Brunswick and George streets, Fredericton. Found while I was en route to another Noche Latina fundraiser at Wilmot Hall on Carleton. Photocopy of a 4x6 photo with Magnetic Poetry words (three from one set; one from another) on a treetrunk to the left (toward Sunbury) behind the marker to fallen colonial-times British soldiers as I walked the Carleton to Carleton footpath through the downtown graveyard. Pacific Cinémathèque and curator Heather Haley are seeking videopoem submissions from around the world for the annual Visible Verse screening and performance poetry celebration. •Either official language is acceptable, though if the video is in French, an English-dubbed or-subtitled version is required for consideration. •True literary merit. The ideal videopoem is a wedding of word and image, the voice seen as well as heard. •Videopoem producers should provide a brief bio, full name, and contact information in a cover letter. There is no official application form nor entry fee. I did it again! Another Groundhog Day. Another page written. Below is my Foreword from this o so slow writing project. This story began long before it started throwing a few often strange threads my way a few years back. The first page piece was written on 2 February 1990 (and it was deliberately designed to look a page pulled from a mass market paperback novel) for submission to, and publication in, an Art Postale! 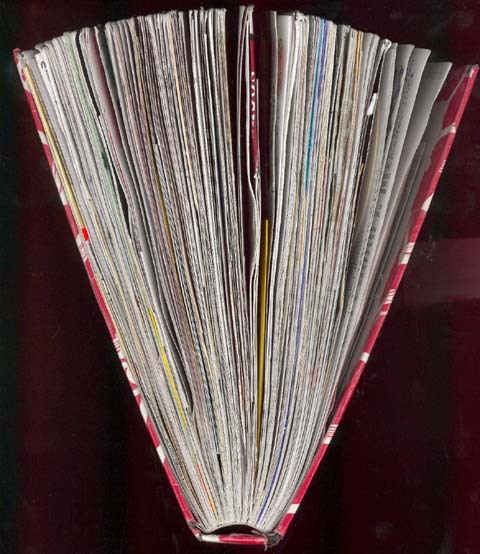 “B-Art Issue” of a mail art publication project edited and published by Vittore Baroni in Italy. It was my attempt at a piece from a disturbed story. Once a yearwhen I wakeup on Groundhog DayI write one more page without looking at the previous pages. I pick up the thread, tie a knot to a new scrap that lengthens the line. If needed, I edit to disjunctively continue broken sentences at the start of the current year’s page piece. If my life ever gets that far, this will be a crazy quilt book or one colourful ball of yarn scraps. Possibly something to repair an afgan throw or a clown suit . . .
Last night's Ashes, Paper & Beans show featured Paulo da Costa reading his poetry in Portugese from Notas de rodapé for over 40 minutes. The rest of the show was as follows: Goran Bregović featuring Johnny Depp, "American Dreams". 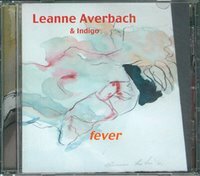 Leanne Averbach & Indigo: “The Birds of Sarajevo” and “Spring”. Moby with his spoken word piece "The Sky is Broken". T-shirt: Beam me up. Scotty, there is no intelligent life on this planet! sound: Tatjana Simonović piano, Hayden's "Sonata in D Major, Hob. XVI:42"